A KiasuParents member shares her favourite resources. [For] employees to solve problems or to learn new things, they have to know what questions to ask. And we can’t teach them how to ask good questions—how to think. The ability to ask the right questions is the single most important skill. 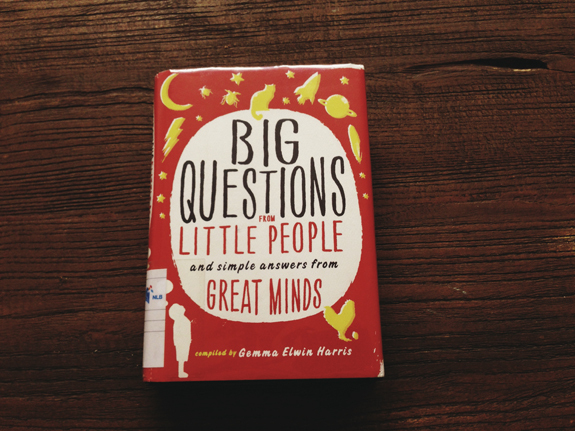 As parents, is there a process we can follow for helping our kids develop enquiring minds? This is what I’ve learned and am trying to put into practice. Some questions are more powerful than others. Change the way you describe the world to your kids. Questioning skills can and should be taught. A teacher details what he’s done in class to encourage his students to ask better questions here, and this includes providing honest feedback about his students’ questions, and supplying sample questions or question structures to students who require more hand-holding. Build critical thinking habits from an early age. I devoted some time to watching A Year At Mission Hill, a documentary series about a school where teachers have the freedom to design a creative curriculum and students know they’re valued and respected. These critical thinking questions that I’ve put up for my daughter is an idea borrowed from this episode. 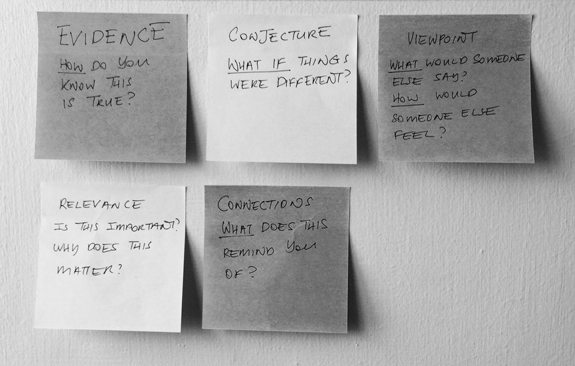 Use games to hone kids’ questioning ability. This post features five classroom activities for encouraging questions that can be adapted for the home. One activity idea is to hide something in a box and have kids ask questions in order to guess what’s inside. For parents who prefer to buy a game rather than make one: We’ve played a card game based on the same concept. It’s hilarious, it’s stocked in several local toy stores, and it’s called Hedbanz.